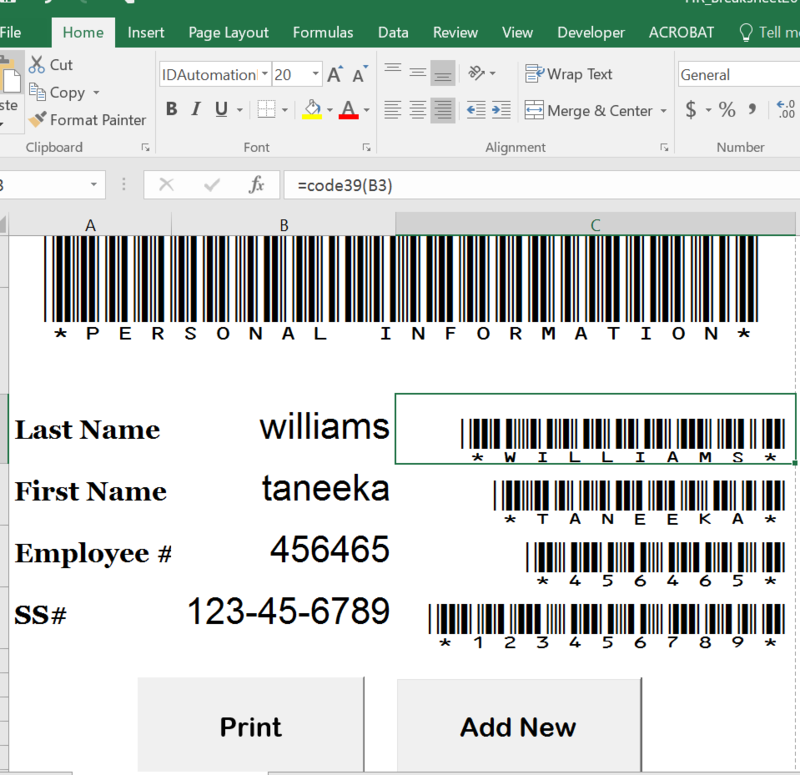 I've created barcode breaksheets, that when scanned will index employee data. I am having problems with the employee ssn as it has hyphens that aren't added to the barcode. The cell is currently formatted to add the hyphens when a person keys in the ssn. I'm so new to this, any help is appreciate. I tested by adding hyphens manually and it did produce the barcode the way I wanted. I originally formatted the cell with a number format ( in the numbers group in excel) that would automatically add the dashes. My guess is I just need to enter them manually to avoid this issue. I am not able to re-create the issue. After using the formula to encode the data (which appends the exclamation points), does the encoded data appear to include the hyphens? See if you can view the hyphens in the encoded data. What is the exact name of the barcode font that you are applying to the data? The standard Code 39 character set is capable of encoding the hyphen. View the Code 39 character set chart. Ben What barcode type are you creating? 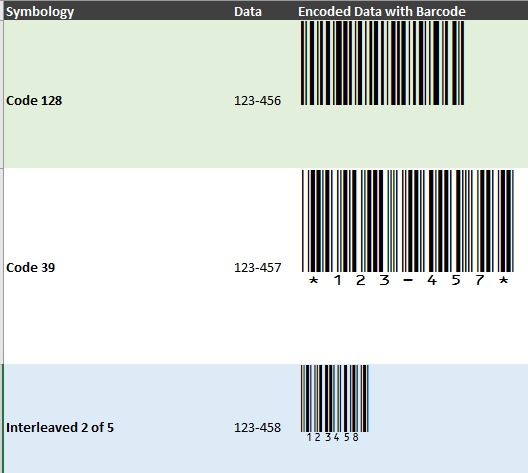 Some barcode types encode only numeric while other can encode alphanumeric and special characters. Excel Example using Code 128, Code 39, and Interleaved 2 of 5. Interleaved 2 of 5 cannot encode the hyphen because it only encodes numeric values.